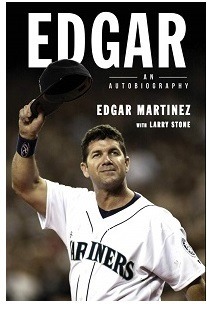 Baseball greats get book deals, right? With the Hall of Fame class now set for 2019, I thought I would take a look at books that focus on those players’ careers. I was surprised to find that only on of the six has an autobiography already in print, and only one other has an announced release date for later this year. I’m not sure there would be much demand for a Lee Smith tell-all, or even a Harold Baines bio (although I would be interested in that one). Mike Mussina‘s humble disposition will probably prevent an autobiography from him. I heard an interesting story, and I don’t remember if it was on MLB Network’s coverage or elsewhere. Mussina tanked a grade in school so he wouldn’t be valedictorian. He didn’t want the spotlight. Time will tell if a fuller examination of Halladay’s life will be offered, or if biographies of Smith, Baines, or Mussina will pop up. Preacher. Author. 911 dispatcher. Baseball fan. Horror nut. Music nerd. Bookworm. Time Magazine's 2006 Person of the Year. Posted on January 25, 2019, in baseball, books and tagged Edgar Martinez, Hall of Fame, Harold Baines, Lee Smith, Mariano Rivera, Mike Mussina, Roy Halladay. Bookmark the permalink. Leave a comment.